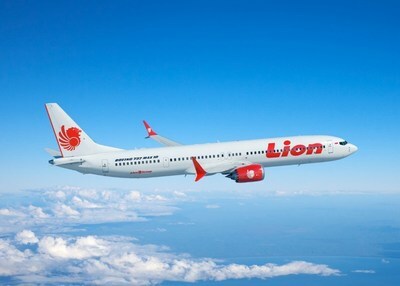 JAKARTA, Indonesia, 2018-Apr-11 — /Travel PR News/ — Boeing [NYSE: BA] and the Lion Air Group today announced the airline purchased 50 of Boeing’s new 737 MAX 10 airplane, which will be the most fuel-efficient and profitable single-aisle jet in the aviation industry. The deal, valued at approximately $6.24 billion at list prices, is the largest incremental order to date of the MAX 10 variant. The order was previously listed as unidentified on Boeing’s Orders & Deliveries website. The Lion Air Group was first in the world to put the 737 MAX 8 into service and the first to order the 737 MAX 9. Last month, the group became the first to take delivery of a 737 MAX 9, using the airplane’s added capacity to launch several international routes. This entry was posted in Airlines, Flights, Transportation, Travel, Travel Services, Travelers and tagged airplanes, Boeing, Boeing 737 MAX 10, Dinesh Keskar, Edward Sirait, Lion Air Group. Bookmark the permalink.